The jawbone’s connected to … the eyes? Of all of the problems that can be caused by disorders of the TMJ, eye strain or TMJ vision problems may seem to be the strangest. How can a joint that controls the jaw cause problems with your eyesight? Through muscles and nerves, your TMJ is wired to nearly everything else in your head, neck and face. TMJ causes headaches, and headaches can, in turn, cause vision problems. Another factor is a nerve that is responsible for more than half of the total input to the brain: the trigeminal nerve. Understanding a bit about the trigeminal nerve will make it easy to see the connection between TMJ disorder and vision. The Sphenopalatine Ganglion is on the Maxillary Division of the Trigeminal Nerve and it carries Autonomic nerves, both Sympathetic and Parasympathetic to the Trigeminal Nerve. These nerves travel throughout the trigeminal system and to the brain. A simple Sphenopalatine Ganglion Block can give Amazing, often almost immediate relief of symptoms. Dr Shapira teaches courses on blocking the Sphenopalatine Ganglion both nationally and internationally. He is one of the only doctors who teaches “Self Administration of SPG Blocks” with cotton tipped nasal cannulas. SPG Blocks can treat Migraines, Chronic Daily Headaches and many painful conditions of the Ears, Eyes, Sinus and Nasal regions. These three nerve braches make the connection between the jaw and the eyes rather clear. TMJ pain is transmitted through these nerve pathways, and it can result in pain in other parts of the face. Many TMJ patients experience disturbances in vision. FLASHING LIGHTS IN THE EYES MAY BE RETINAL DETATCHMENT! SEEK IMMEDIATE MEDICAL CARE WITH OPTHAMOLOGIST. Our reaction to pain can often make the situation worse. When we feel the pain of a headache, jaw pain, neck pain or other pain related to TMJ, we unconsciously respond by positioning ourselves differently or using our muscles differently in an attempt to alleviate the pain. Pain in the face or head can have a domino effect, with one issue leading to another through the trigeminal nerve or our own reactions to the pain. Your TMJ is an important – and potentially problematic – part of your body. The two joints lie on either side of the head between the mandible; the lower jaw, and the temporal bone at the base of the skull. It’s what allows our jaws to open and close. Because using our jaws is involved in two of the primary functions of our lives: eating and speaking, the TM joints are susceptible to issues. A TMJ disorder can be caused suddenly by an injury to the head or face, but more often, it builds up gradually. It can be due to our behavior or habits. People who sing or speak for a living may be more likely to encounter TMJ issues. Anyone can develop TMJ problems, and in order to get rid of the pain, vision problems, or other issues caused by TMJ, the TMJ problem itself must be eliminated. The field of TMJ and orofacial pain covers a wide variety of problems and differential diagnosis of orofacial pain is important. TMJ is best treated with non-invasive methods that do not permanently change the structure of the jaw or teeth. Pain relievers can help, and there are jaw and posture exercises that can bring relief to TMJ sufferers. If you are experiencing vision problems, headaches, jaw pain or facial pain, TMJ could be the cause. To learn more about TMJ or to make a consultation appointment, contact our office. For the past two years I have been suffering from brain fog, pressure in ears and behind eyes, and somewhat blurry vision. In addition, I suffer from vestibular migraines (which came at the onset of the other symptoms). I am being treated with medication for the vestibular migraines and it helps a good amount. I still have symptoms of pressure in ears and behind eyes, along with slightly blurry vision and now a great deal of anxiety. Over the past two years I have noticed some jaw pain (especially when eating bagels), however, I never thought much of it until my mom told me about TMJ and I looked into it. With that said, I decided to get a night guard made and have been wearing it the past couple of nights. My question is, have you seen patients who have foggy head, head pressure, etc. with some jaw pain (but one of the lesser symptoms) who found relief in symptoms after fixing the misalignment from TMJ? I think there is a chance that TMJ is causing my problems, but I am skeptical just because I don’t have much pain- I have more so discomfort in my entire head. There are many connections between the ears, the eyes and your other symptoms. These occur inboth the somato-sensory nevous system and the autonomic nervous system. When there are issues within the trigeminal nervous system it can cause secondary ear pain, tinnitus pressure and even vestibular problems. The tensor tympani (tenso of eardrum) is innervated by the trigeminal nerve which also innervates jaw muscles, jaw joints teeth gum and periodontal ligaments. Pressure in the ears can be due to improper function of the tensor vili palatine muscle that opens and closes the eustacian tube. The blurry vision can result from changes in the orbit of the eye called by the sphenomandibularis muscle. Wearing a nightguard can help but I strongly suggest a 24/7 diagnostic neuromuscuar orthotic. A problem that effects you day and night should ideally be treated both day and night. There is an excellent chance that correcting jaw positioning and muscle function can help relieve all your issues. There is usually ultimodal therapy including SPG Blocks, Trigger Point injections exercises and other therapies direct toward your unique issues. The good news is that you should expect considerable improvement with physiologic treatment and trigger point treatment. Treating the autonomic system with SPG Blockscan also give amazing improvement. I have been having some slight pain on my left jaw from sleeping using a pillow that sometimes bother me in the middle of the night. So, I went out for breakfast with wife, came back. Wife said, tree leaves hanging over our neighbor’s property. I got to work. Got sweating and some panting. Came in, sat down with fan in my face. Cooled down. Laid down, took a nap. Got up and my left jaw seemed tight on teeth and right jaw floating and right teeth do not touch now. Started to see double vision, had a headache on the right side of forehead. Was dizzy. Got scared. Most cleared except my jaw is now in new position as said. Can see Okay now. Called my Heart Surgeon brother and he felt it was a mini-stroke because of the double vision. I sense somewhat that it could be TMJ related. Can you give me any idea if I’m nuts or wrong? Will be going to my internist to check me out. What is your take Doc? Most jaw injuries are repetitive strain injuries. Whther it is jaw position, chewing gum, head postural issues ete. When you worked on tree limbs you used shoulder and neck muscles differently than yon your usual routine. The cold fan could easily set off tightening of the jaw and neck muscles all of which could trigger a pre-existing problem. Your Internest probably won’t have a clue. Check out my youtube channel. I have many patients with similar types of symptoms. The good news is between CAT Scans and MRI you have ruled out major organic issues. You are the type of patient I routinely see in my practice. Physicians rule out major disease but have nothing to offer but medications to improve the condition. I often can relieve much of the pain on the very first consult appointment in the process of evaluation. I have no effect on the floaters and the light sensitivty usually takes longer to heal. The majority of pain is usually myofascial and trigeminal in nature. Very often there is an autonomic component that SPG Blocks can help. Please check my youtube channel to hear the stories of patients with similar stories to yours and hpw they responded to treatment. You can also visitmy http://www.IHateHeadaches.org website. For many years I have had increasing symptoms (especially nuerological). I have had terrible vision problems that continue to get worse. It is as if my entire vision is made up of floaters. Tiny little ones that are behind my entire vision. I was told by my doctors 2 years ago that I have tmj. Could these eye problem be related to tmj? I also constantry deal with blurred vison, and light sensitivity (I’m desperate for answers, as my vision has gotten terrible!) Thank you! There are many connections between the eyes and the functional systems of the jaw. The trigeminal nerve accounts for over 50% of input to the brain after amplification in the Reticular Activating System and it can cause or excerbate mant types of neuological systems as well as have major effects on the eyes. pelase tell what to eat or what not to eat and other general things. Please take some time to view some of these videos, some are patients with similar issues. A diagnostic physiologic orthotic is a good start. SPG Blocks can help. I took a knee to the side of my right jaw during a takedown attempt in wrestling. I was treated for a concussion and whiplash. I ended up with blurry vision / floaters, pressure behind the eyes, mild balance issues really more of a floating sensation, especially if I am on my feet for too long and some mild cognitive impairment when on my feet to long. I wen through concussion treatment for two years and nothing seemed to improve my symptoms. I also had some atrophy in the neck from all the prescribed bed rest. Anyways my jaw always locks and pops since the injury, however due to the other symptoms this was really not a main concern of mine. However it has been several years the other symptoms haven’t fully resolved. I noticed that by even just gently pushing on my jaw at the point were it locks i can trigger the facial numbness and tingling sensation below my eye and increased ear fullness sensation. I started looking up the nerves involved in both the area I touch and the sensations in my face. Being that is also part of where I was hit I am beginning to wonder If TMJ could be a part of my symptoms. Vestibular damage and other things have been ruled out by previous specialists and my 3T brain and cervical MRI’s/ MRA’s don’t seem to correspond to these symptoms. I was wondering if this is something that is possible? I apologize for the long winded questions. This injury has completely altered my life so I am just willing to look into all avenues. Droopy eyelids is a common symptom seen in TMJ disorders and in patients with sleep apnea. These problems are closely related. The ULF-TENS utilized in physiologic dentistry stimulates both the trigeminal nerve and facial nerve which controls the eyelids. I strongly Rx starting with a Diagnostic Physiologic Orthotic. Avoid any aggressive treatment until symptoms are resolved. Some dentist will want to equilibrate your mouth by grinding on your teeth which could make your issues much worse. I can help. Your story is very typical of many patients. The pain and TMJ disorders can take two or more years to occur after whiplash even if there is not a direct injury to the jaw or jaw joints. The locking is particularly ominous and I suggest you start treatment with an diagnostic physiologic orthotic to eliminate pain and locking. Some patients need seperate day and night appliances. The trigeminal system accounts for over 50% of input to the brain after amplification in Reticular Activating System. The trigeminal nerve innervates the teeth, periodontal ligaments, jaw muscles, tensor of eardrum, the muscle that opens and close the eustacian tube, the sinuses, the nose and the tongue. It is called the “Dentist’s Nerve” but it is also in the center of every headache and migraine. The trigeminal nerve controls blood flow to the brain thru the meninges of the brain. 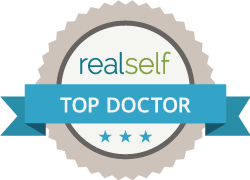 I look forward to helping you alleviate symptoms. There is frequently significant improvement after just 1-2 appointments. I have a reverse neck curve, open bite, narrow upper and lower pallet and other minor jaw abnormalities. I also get chronic headaches, but only when reading. Opthomologists say its because of a fusional vergence dysfunction, where my eyes focus fine but don’t team together. Can TMJ be the cause of this? You have developmental issues of your jaws and airway that are probably related to neck issues. The vision problems may have a common source as well. I suggest evaluating your TMJ problems with a diagnostic neuromuscular orthotic. Epigenetic orthopedics/orthodontics could correct developmental issues and possibly help vision problems. The shape of crainal bones do affect vision. Epigenetic orthopedics/orthodontics could correct developmental issues and possibly help vision problems. The shape of cranial bones do affect vision. Look into a NEUROMUSCULAR ORTHOTIC which will perfectly balance physiology. You will probably need to adjust the orthotic with time. Most Lifters tend to develop severe forward head postures that actually interfere with idealizing physical abilities. They are also the cause of back pain. Most orthodontists move teeth but do not aim to improve airway. The Aqualizer Appliance is a self balancing appliance that will probably give better results than your current splint but a true neuromuscular orthotic is the best solution. I treated a shot put state champion with one and he thew the shot 8 inches further on his first throw with it in his mouth and continued to improve. He was throwing national champion distances but was not able to do that under the stress of national championship competition. Pain is always a problem and one sided pain off points to imbalances that go throughout the body. Visit http://www.triggerpoints.net to understand the individual patterns of pain. To understand how the body connect is more complicated as there are both ascending and descending chains. You should find a doctor who will teach you Travell spray and stretch techniques. Mam i m suffering from tmj from last y month but got to knew last month only when all options of migrane , earpain and teeth pain are rule out………but today i m suffering not only pain in jaw , ear n head neck but also my right side eye …..tje pain is going high on every passing day…..i feel immse pressure on eye , eye brow part and blurr vission sometime ………can u plse suggest me what i have to do …..n where should i go …. i m totally freakout ….as no one understand my pain …..please suggest me something……i have my ca final exam….i want to do my best …. I can help with pain like you describe often very quickly. Please contact my office for an appointment if possible. If not look into getting an Aqualizer Appliance which can help until you find a neuromuscular dentist. Understanding your pain requires a face to face visit. Hi, my name is daniel, i’m just wondering if there’s any chance you could help me. 10 years i have have some pretty insane symptoms. Crackling and popping in my right tmj, i have been diagnosed with atypical trigeminal nauralgia. The symptoms i was hit with 10 years ago was severe vision problem, foggy brain, pain in my face, tunnel vision. After i would eat something, the colors in my vision would all go bright, like a nuke when off. It all terrified me. Now it’s just a normal day. Hearing problems with vision problems, and the foggyness, it was a nightmare. All that stress triggered fibromyalgia, which just added to the nightmare. Can tmj cause these severe symptoms? I had all the test in the world the last 10 years. A dentist said it might be tmj. I get sensitive to light and sensitive to sound. Can the trigeminal nerve cause these severe symptoms? I see many patients with a wide variety of symptoms some of which are typical and some atypical. I have not heard avbout “colors of vision going bright when eating” but the other symptoms are similar to other patients. Treatment begins with a diagnostic orthotic and many issues like cracking and popping can rapidly resolve. These are videos of patients stories: https://www.youtube.com/channel/UCk9Bfz6pklC7_UluWFHzLrg/videos I can help with many if not all of your symptoms. Two weeks ago I had dental work to prep for a crown on an upper left molar. After the administration of a 3rd shot of novicane, double vision started in my left eye. the double vision subsided after several hours. I’ve now been dealing with pain where the jaw meets the ear, neck, facial and head pain since the dental visit. Ive been told I have TMJ in the past, but it’s never bothered me..I’m wondering if it the trigeminal nerve that’s been damaged or TMJ? I am taking ibuprofen and tylenol. I have also been using a nightguard after braces for several years. I’m very nervous to go back to the dentist for the crown. Thank you. Very unlikely that ou have any damage to the trigeminal nerve. It is most likely joint and/or myofascial pain (muscle) You may have kept your mouth wide open and strained your jaw. I suggest having the dentist evaluate your condition. If he is familiar with MPD or myofascial pain he can utilize Travell Spray and Stretch to turn off muscle pain. Sometimes there is muscle splinting or issues with the bite. I have had a progressively problem for nearly 2 years now. I have had peripheral flashes in my left eye that have gotten thicker and bluer over the last 1.5-years. A new floater developed, I have eye pain – a foreign body and/or paper cut feeling. I have started seeing pinpoint ‘fireworks’ in my central vision. I have also been seeing a faint orange tinted shadow in my central vision thats aoparent when I look at a bright screen and blink. A retinal specialist ruled out a detachment 3x over 2 years. I do have hx of retinal detachments bilaterally and have had a cateract removed from my left eye (same eye as visual disturbances). On top of that I have a cap on my back bottom tooth on the left that I play with and press down on (same side as eye problems). It has never felt right. Over the last few months I have had almost constant left sided jaw pain – a warm throbbing sensation and sometimes a sharp pain. I have also been told I have bruxism, I find myself clentching down on my jaw often, and I can hear my right jaw cracking if I open my mouth wide. Furthermore, my left ear often hurts – a dull pressure and I find myself tugging at it like a child might. OTC painkillers only help so much. Lately I have been using orejel and chloreseptic spray in my mouth and muscle rub on my check and neck. MRI c/ and s/ contrast came back non-extrodinary. XR of my jaw came back normal. Neuro optho doesn’t seem to know what to tell me – but insit’s flashes deal with CN II or the retina and nothing else. I only have one functional eye so these problems are severely impacting my life. Does this sound like a TMJ problem and if so, what courses of action could I take? Many of the issues are primarily in the realm of the opthamologist and I am very glad you are being closely watched by a retinal specialist. You do have TMJ/TMD issues that can create some of the symptoms you have mentioned. Many of your symptoms could be related to the jaw issues by common trigeminal nerve input. The opthalmic branch of the trigeminal nerve goes to the upper eyelid via the supratrochlear nerve and to the conjuctiva of the eye. Contains parasympathetic fibers to lacrimal gland. contains sympathetic fibres to dilator pupillae muscle. Floaters and irritation of eye are trigeminally innervated. The Sphenopalatine Ganglion sits on maxillary division of trigeminal nerve and supply sympathetic and parassympathetinc innervation to the eye. Many of you symptoms may respond to Self administered SPG Blocks. Diagnostic neuromuscualr orthotics turn down the “noise” in trigeminal system which can lead to referred pain.Many of your symptoms are typical TMJ symptoms. I suggest a trial SPG Block for autonomic nerves and a diagnostic neuromuscular orthotic. These two procedures may eliminate many or even most of issues. my wife underwent TMJ surgery over a year ago and now suffers from constant right eye tearing and has had numerous eye infections. Believe this was due to nerve damage from the surgery. Is there a remedy for this issue as it has become very damaging to her eye. These problems are usually due to issues with either the somatosensory or autonomic nerves of the trigeminal nerve. SPG Blocks address both the sympathetic and parasympathetic divisions of the trigeminal nerve which control tearing of the eye. I would suggest your wife learning to do self administered SPG blocks with cotton tipped nasal catheters. I usually find most patients can actually avoid TM Joint surgery. Over a year ago I finally began to understand that TMJ was probably the main cause of the dizziness, tinnitus in mostly one ear and TTSS (clogged eustacean tubes) I had been experiencing during the prior few years. There was also a visual component, sensitivity to bright lights and auras. Through exercises and a night guard I was able to relieve those symptoms almost entirely. They started up again out of nowhere 2 months ago. I had returned from a trip to Europe, 20 hours in planes and airports, and attributed it to exhausting travel and cramped posture. Then I had a few bouts of acute vertigo, they hit me out of nowhere and knocked me off my feet for a few hours each time. They were worse than before and more frequent. My reading about such vertigo attacks, as well as the tinnitus predominantly in one ear has made me consider either vestibular migraines (presence of auras but no headache and the vertigo) or , god forbid, meniere’s disease. Can my TMJ be responsible for such acute and sudden onsets of vertigo or do I need to look into the dreaded miniere’s? I should say that a hearing test 4 years ago (w/ ENT) when the problem initially manifested showed no hearing loss and I don’t think my hearing is compromised now. I also have started experiencing relief through upper cervicular chiro and TMJ exercises as well as eye exercises. But the vertigo really startled me and has created an anxiety that I may be dealing with a worse case scenario. I will continue to do my exercises and the upper cervicular chiro and hope it all clears up again but if I need to look for somethong more serious it seems better for me to know that sooner than later. Thank you for your time and consideration! Okay so.. For a while I have been seeing tube-like stuff in my vision, but it’s been like a year and a half and it’s still happening. It’s weird though, It’s like two wavy parallel lines with horizontal lines between them. Also, I have been seeing flashes in my eyes every so often for the past week or so. Sometimes I can’t focus on things. Recently I have been seeing two circles, side by side, and they move together in my vision. I believe that this is all happening in my left eye. I also feel pain in my let eye occasionally. Also, I have an astigmatism, but these problems have never happened before and my astigmatism was discovered when I was a child. i have been told i have disc displacement without reduction from ct scan have terrible left ear pain hyperacusis and tinnitus advised to get night and day splints can they really cure this. I FEEL I CANT COPE WITH THIS. Even walking or any jarring hurts in my ear. I’m hoping you can help! I’ve been looking online for massage tips for hours and came upon your site. I have suffered from chronic migraines for years, experiencing only temporary relief at best. An accident lead to what I believe was a concussion remained untreated, and began two years of 3-4 real migraines a week, and a constant full headache. Chiropractic work helped, and it was then I was told my jaw was the issue. I also have a slight underbite that my ortho tried to correct poorly. I’ve tried sporadic massage, elimination diets, and medications with no sustained success. The only thing that helped at all was a tragus piercing, but even the benefits of that are wearing thin. I can not sleep at night because of pain, and I wake up unable to move. I have auras, spots, trouble focusing my eyes, and headaches that won’t respond to anything I do. Can you help? I have been helping patients with stories like yours for over 35 years. There is a great deal we can do that is more effective than a Daith piercing in the tragus. I will have a Team Member contact you to set up an appointment. In the meantime there are over 100 videos of patients with stories like yours who have been helped. Neuromuscular dentistry and SPG blocks ideally would both be utilized. Trigger point injections are also very helpful. I have helped many patients with disc displacement become fre of pain. The ear problems usually dissipate with treatment. The excepting is a very high pitch tinnitus that never changes, that is sometines due to an acoustic nerve problem or a reaction to medications, especially aspirin, advil and other nsaids. Please visit my patient videos to hear other patients stories and how their problems resolved. I can help with many of those issues but the flashes in the eye need to be evaluated by an Opthamologist as they can indicate a very serious condition. For the past few weeks my jaws have been very tight. My right jaw has always popped off and on for years but now it’s popping more often and louder. The jaw tension turned into what most would consider a tension headache. The tension headache seems to move around my head depending on posture and sleeping positions. I’ve been to my pcp and he says stress and anxiety are contributors to the headache. Based on my current symptoms he has ruled out any serious condition. I bought two mouth pieces one for my bottom and one for my top teeth. When I put them in, I get a ton of relief from all my head tension but when I take them out the tension comes back. My right jaw has started hurting since last week. Also, I randomly have a glaze of fog with my vision. It’s maybe happened 3 times in two weeks. It only last a few seconds. Just now, it happened when I took my mouth pieces out. Do you think this glaze is related to tmj? Absolutely. I think you should try a Diagnostic Neuuromuscular Orthotic as part of a complete treatment plan and thorough differential diagnosis. I was recently diagnosed with an ear infection in borth ears. I’ve been taking my ear drops etc. Today Ive had extreme neck and jaw pain on my left side and that lymph node is swollen. I layed down for about an hour, and then had some temporary vision blurring. I was born with an abnormal optical nerve. I was wondering if that could be related. The ear and the jaw both have trigeminal nerve innervation and often have overlapping symptoms from jaws, jaw joints, ears, sinus tissues and more. TMJ was originally called Costen’s Syndrome after the ENT who originally described it. TMJ disorders are known as “The Great Imposter” because they are so frequently misdiagnosed as related to the ear rather than the jaw. I I have had a progressively problem for nearly 2 years now. had a progressively problem for nearly a year now. It all began with a flickering star in my right eye which lasted for a few months before developping in the left eye as well i went to several eye doctors and after doing a lot of tests that came back clear they diagnosed me with ocular migraine and sent me home .. after a couple of weeks i had my first vertigo attack along with loud ringing in my ear which lasted for 30 seconds and left me dizzy and brain fogginess that won’t go away .. i went to an ent specialist and aftrr doing some tests he told me that everything looks fine and it’s probably due to anxiety .. i didn’t give up because the dizziness and fogginess kept on getting worse and finally i went to a tmj specialist who diagnosed me with tmj due to clenching teeth and mouth breathing .. But lately i started experiencing more visual symptoms like senesitivity to light , flashing lights, tunnel vision and eye pain that comes and goes especially after straining my eyes .. do you think these symptoms are related to TMJ ? I had a progressively problem for nearly a year now. It all began with a flickering star in my right eye which lasted for a few months before developing in the left eye as well .. i went to several eye doctors and after doing a lot of tests that came back clear they diagnosed me with ocular migraine and sent me home .. after a couple of weeks i had my first vertigo attack along with loud ringing in my ear which lasted for 30 seconds and left with dizziness and brain fogginess that won’t go away .. i went to an ENT specialist and after doing some tests he told me that everything looks fine and it’s probably due to anxiety .. i didn’t give up because the dizziness and fogginess kept on getting worse and finally i went to a tmj specialist who diagnosed me with tmj due to clenching teeth and mouth breathing .. and he gave me some exercises to do for two months and see if it helps otherwise i go back so he could fix me up with an orthotic. So i’ve been doing the exercices but lately i started experiencing more visual symptoms like sensitivity to light ,floaters, tunnel vision ,flashing lights and pain behind the eyes that comes and goes so i went back to the ophthalmologist and he told me everything is fine, so i went to a second one because i was so sure that something with wrong with my eyes but he also confirmed that my eyes are fine! So my question to you is is it possible that TMJ could cause these visual symptoms or there might be something wrong with my eyes and the doctors missed it .. Many of the problems aare associated with the trigeminal nerve as well as autoniomic nerves associated with the trigeminal nerve. Flashing lights in the eyes is often a warning of retinal detachment so it is good that was ruled out by the opthamologists. Vertigo is a problem with the proprioceptive system. 80% of all proprioception occurs in the mesencephalic nucleus of the trigeminal system. I would suggest a trial of a neuromuscular orthotic which may eliminate the issues. All headaches and migraines are primarily mitigated by the trigeminal nerve also called the Dentist’s nerve or Cranial nerve 5. Ringing in the ear is very typical of many TMJ issues as well as a symptom of MPD or Myofascial Pain and Dysfunction. You shoiuld probably have an overnight sleep study to rule out sleep issues. Joe, Floaters are not directly related to jaw issues but often improve dramatically with treatment of TMJoint locking and pain. A Aqualizer could be used to evaluate response to treatment. Dr.Shapira! Thank you for the post. About 8 months ago i started correcting my tongue posture (tongue on the roof of the mouth) because i was a mouth breather and now i breath through my nose but since i have started correcting my tongue posture i have forehead pain, eye floaters and sometimes pain behind the eyes at times sensitivity to light do you think its a TMJ disorder? Also does tmj disorder harm eyes? Like retinal detachment or anything because i’m really worried also do you think i start correcting my tmj disorder do you think my floaters will go away? Actually i would clench teeth hard while my tongue was on the roof of the mouth. A qualified yes to the relation. Correctng tongue position is a good start. An article that helps explaiins the reflexes iis : https://journals.sagepub.com/doi/full/10.1177/154411130201300505 I look forward to seeing you if you contact my office. You have to reprogram entire stomatognathic system.